The equinox teaches us balance and direction. It has a powerful seasonal energetic. When pondering the thoughts of a balanced day and night we have an opportunity to evaluate the presence of duality within our body, mind, and spirit. The cyclical nature is expressed in all aspects of your life. All components and all seasons of your life need to be balanced for you to live freely with health and greater longevity. Take this time to evaluate your state of balance. Are you as active as passive? Are you giving as much as you receive? Do you spend an even amount of time thinking as you are being physically active? Does your emotional life cause you distress leading to an inability to be at peace and content? Taking the time to ask yourself these powerful questions at the equinox can reveal deeper awareness of you and your relationship to the outside world. What occurs when we have too much light in our lives? Metaphorically light can be represented by all Yang energy including activity, heat, inflammation, and anxiety. The fall equinox reveals the natural process of the coming darkness, allowing ourselves to release the Yang Light and begin to cultivate the Yin Darkness. Attuning to the Fall we should notice the stillness, the quiet, the coolness, and the depth that exists within ourselves and nature. This is the Yin foundation that the Yang energy of the spring and summer grow from. In order to welcome the next Yang seasons – the next period of growth – into our lives, we must have a Yin foundation. Many of the ills of modern society come from a fundamental imbalance of Yin and Yang. Our culture has learned to exist outside the patterns of nature. As the days become gradually shorter, we simply turn our lights on earlier. Period; end of problem. We think little of this disruption to our biorhythm and are often blind to its health implications. As we continue to expose ourselves to more light, which is a sign of the summer, our body is tricked into maintaining the Yang energetics. Our body forgets to make the seasonal shift to the fall. As we stay in the Summer, our body acts as if it has plenty of time to prepare for the distant winter. In the summer our body conserves sugar and fats in order to put on weight and insulation to be stored as resources for the winter. We easily see this in the animal kingdom. Hibernating animals spend their entire summer eating and gaining weight so that they can survive the cold winter. Squirrels spend the summer actively storing away food for survival. Being disconnected from the natural season, our bodies continue to store resources. Our technology and modern comforts override the natural signal of increasing darkness that leads to releasing a shift in our physical metabolism. To attune to the Fall we should begin to embrace the darkness. Start to limit the artificial lights at night. Allow yourself to go to bed earlier and rest more. Ask yourself deeper questions and allow yourself to release what is not needed. Begin to eat root vegetables. Continue to draw nutrition from the foods that are in season. Energetically we want to welcome bitter and cold tea into our lives. These teas clear heat and send the signal to move our Qi and Blood into the interior. They help us release what is not required and take note of the most important parts of our lives. We recommend drinking Shade Grown Green Tea. 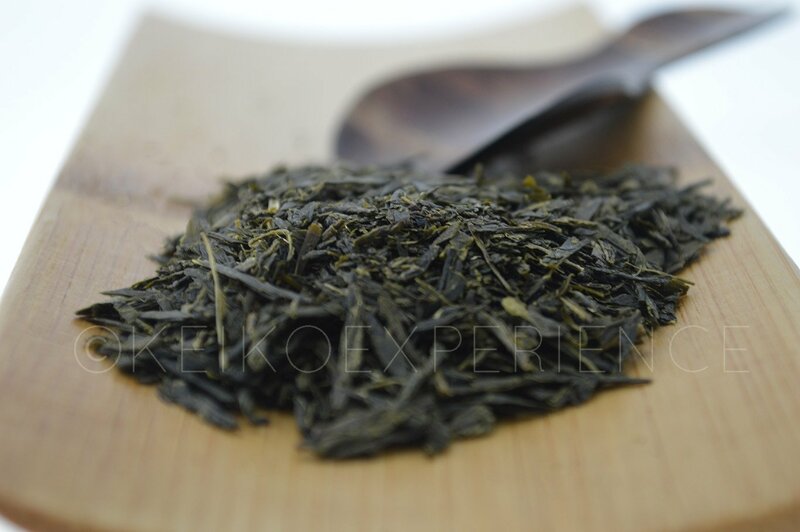 Also known as Kabusecha, at the final stages of picking, Japanese green teas are shaded from the light of the sun. The plants are stressed to work harder, condensing more phytonutrients into the leaves. There are more amino acids and less antioxidants. This creates a very healthy tea that supports mental focus and clarity. Its bitter, cold nature drives our energy down, clears heat from our system, and supports the self reflective process of mindfulness. Our Shade Grown Green Tea allows for the cultivation of Yin stillness. Get out to see the Supermoon tonight! Strengthen your Immunity by Welcoming the "Cold Dew"